The administrator dashboard must be activated by the PlayPosit team. Once activated, launch your PlayPosit account from your LMS or login directly on www.playposit.com and navigate to the ADMIN tab. By default, the name of your institution will appear on the left and all instructors will be added under one tab. Email the PlayPosit team if you would like to add multiple tabs and organize instructors into sub-groups (school site, grade level, department, etc.). To affiliate instructors with your institution, click Manage Licenses and complete the table. At the end of an academic year, instructors may move from one school site to another. To update your Admin Dashboard, click Manage Licenses and complete the table with the new school site. This will transfer the instructor from the previous institution tab. As an admin, you automatically have full access to instructor and student accounts. Click Instructor Login to access all content and student data. Navigate to the Admin Analytics tab to view overall instructor activity per month. Scroll down to track instructor usage with number of Bulbs Created and Last Login. Select all instructors you want to add to the PD course using the check boxes. Click Actions and Add to PD Course. On the lesson thumbnail, click Assign and set a due date next to the PD_1 course. 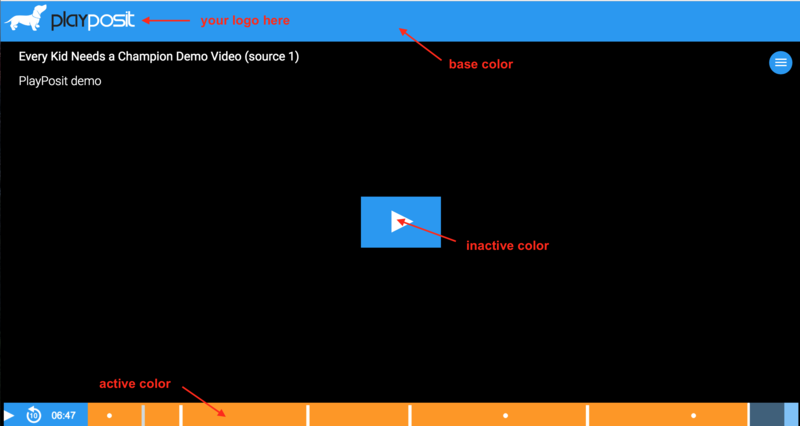 The ability to brand the PlayPosit video player with your custom logo/colors is a special perk available exclusively to our institutional partners. Note: (1) Anyone with administrator status in PlayPosit can set up custom branding and (2) Custom branding will apply to all instructors and students affiliated with the institution.